Men and Women 18+ are invited to submit their photo for consideration as a Focus swimsuit model. Models will win free swimwear, and lots of goodies! 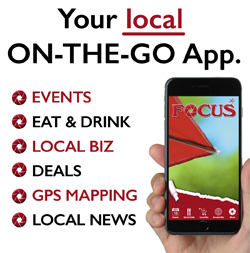 Enter today to be featured in this iconic yearly issue of Focus! Model photos will be taken by well-known area contest sponsor and professional photographer Spencer Huffman. Message us on Facebook with photos (waist up with a smile), home, business and or cell phone number as well as your address. Mail photos (waist up with a smile), home, business and or cell phone number as well as your address to Focus Newspaper, P.O. Box 1721, Hickory, NC, 28603. If you modeled for FOCUS in 2017 or before, feel free to enter again! 2019 Swimsuit & Summer Guide will be out on the streets May 23rd!